Do you enjoy needle knitting, loom knitting, or crochet? 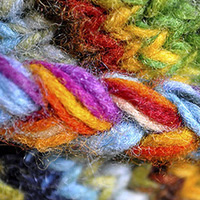 Bring in your supplies to work on group projects while socializing with other yarn artists. Feel free to share patterns, tips, and techniques, and participate in community service projects. Call 410-396-0942 to learn about our current group projects.